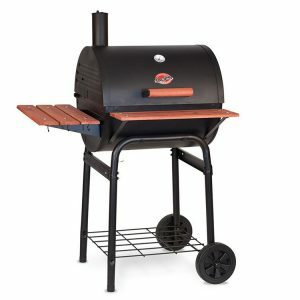 A simple solution to the ultimate grilling question, Gas or Charcoal? 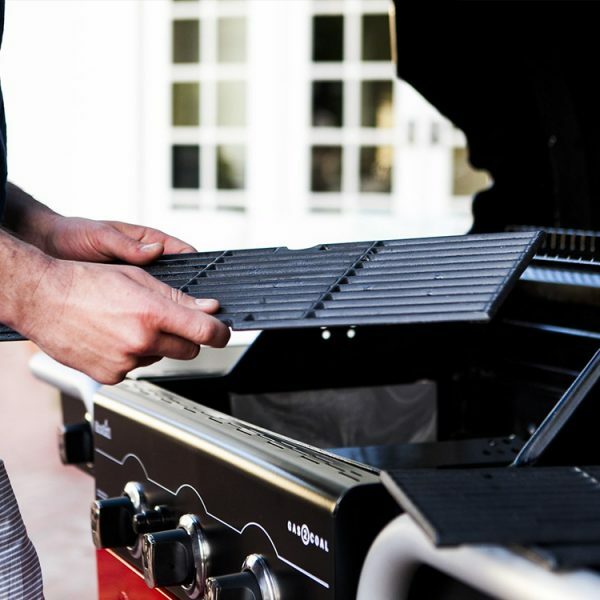 Enjoy both with the Gas2Coal hybrid grill. This combination grill easily converts from gas to charcoal in only three steps in less than 60 seconds and no tools are required. 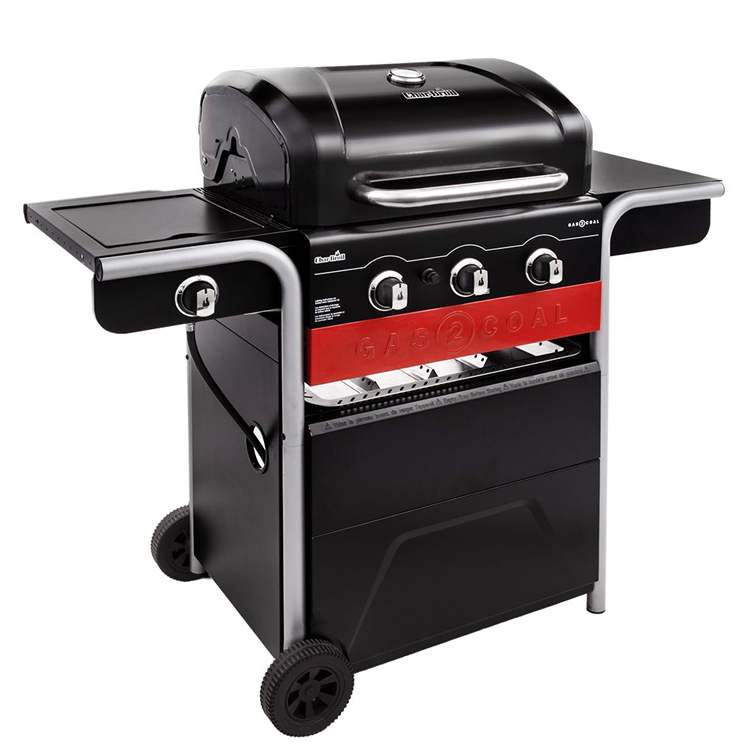 Simply light the charcoal with the gas burners, no lighter fluid is required. 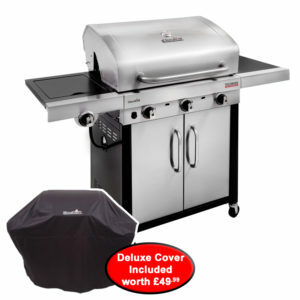 Three main burners with solid cast iron grates give you lots of room to barbecue for your friends and family. 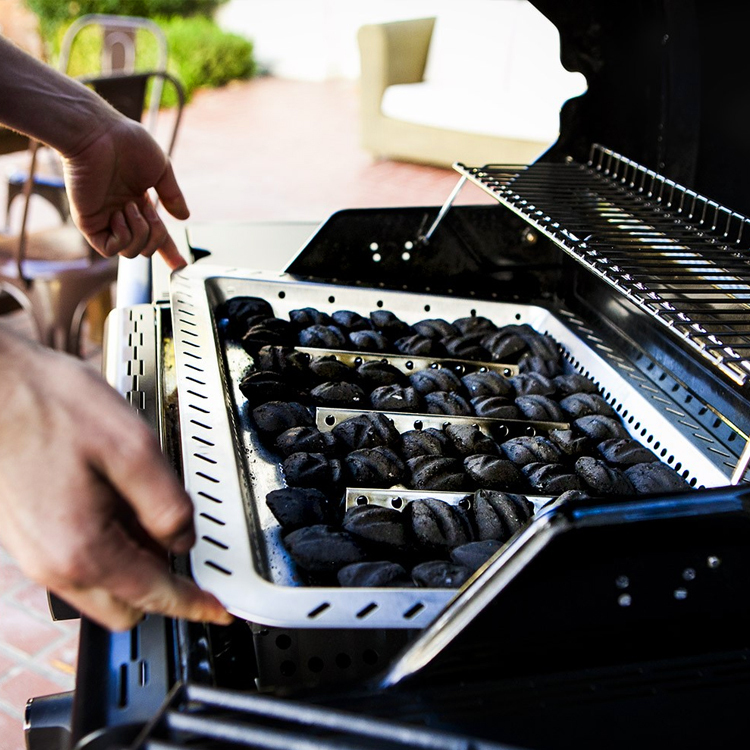 The patented charcoal tray ensures uniform heat and fewer flare-ups. 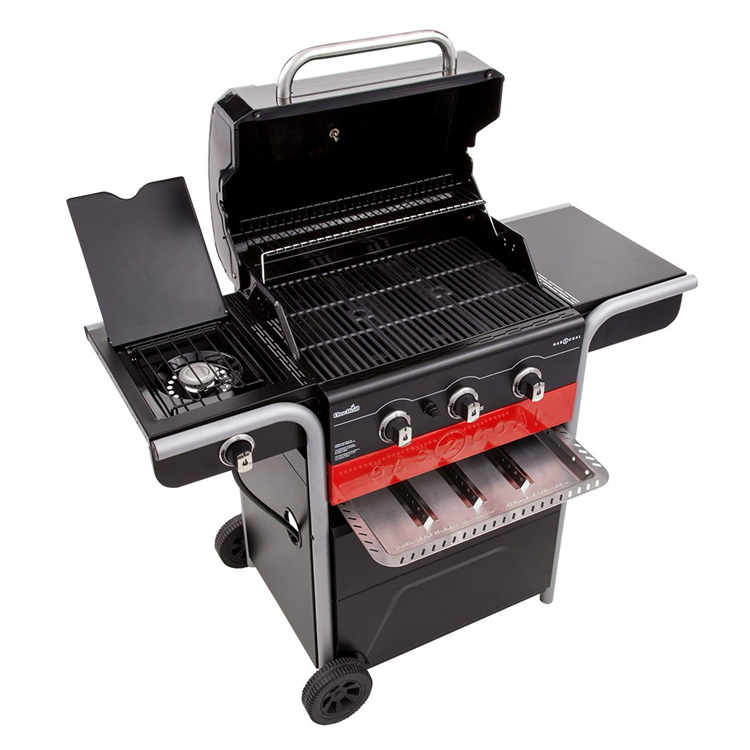 One stainless steel side burner gives you the opportunity to make gravy or prepare vegetables. One side shelf allows storage of tools or other accessories. The temperature gauge is lid-mounted and two wheels ensure easy mobility. Stainless Steel Burners – Durable metal burners can take the heat and are built to last. Cast Iron Grates – Durable, rust-resistant and easy-to-clean. Side Shelf – A handy place for your grilling tools and cooking accessories that doubles as extra workspace while you’re cooking. 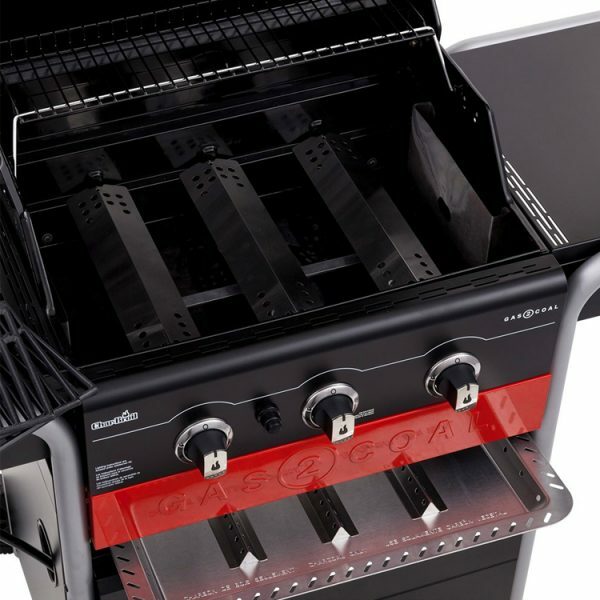 Gear Trax – Gear Trax accessories allow you to add a condiment basket or tool hooks (sold separately) to the grill’s side shelves, keeping everything at hand. 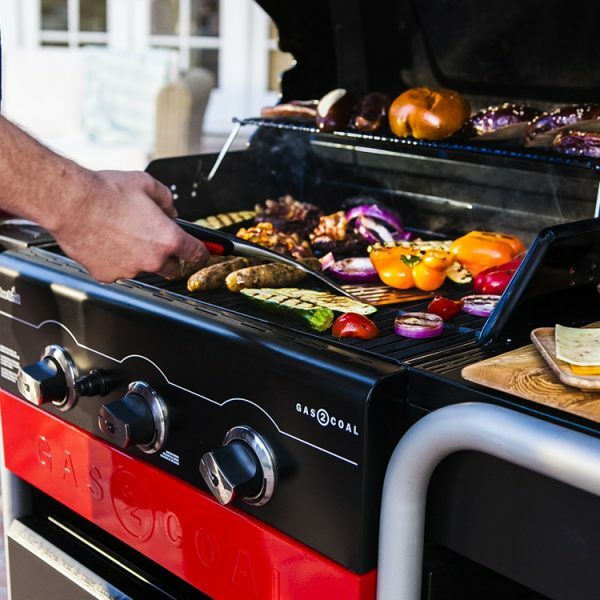 Lid-Mounted Temperature Gauge – Keep track of preheat status and monitor the inside temperature of your grill. Big wheels – Easily move your grill around your backyard or patio. 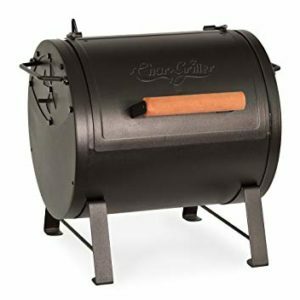 Charcoal – Can be powered by charcoal briquettes or lump charcoal. Patented Charcoal Tray – The new tray design allows the charcoal to burn top down instead of bottom up. 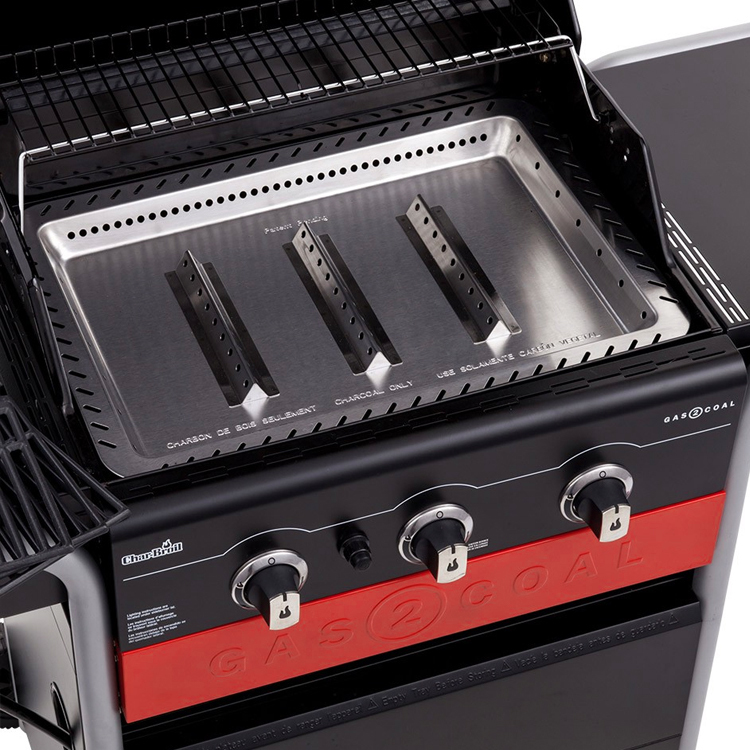 Guided airflow reduces flare ups and more efficient burning while providing even heat.